Bob Dylan will be accepting his Nobel Prize in literature this weekend, according to the permanent secretary of the Swedish Academy. In a blog post Tuesday, Sara Danius announced the “good news” that members of the academy will be meeting with Dylan when he makes a tour stop in Stockholm. 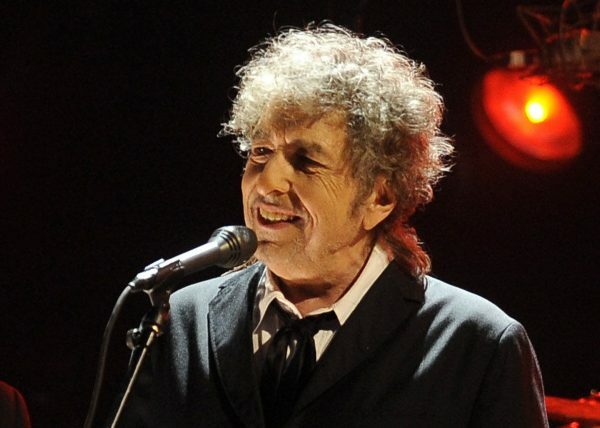 In a previous post, Danius was careful to note that the tour date in Stockholm had been planned well before Dylan won the prize, which he was awarded in October “for having created new poetic expressions within the great American song tradition,” according to the Swedish Academy’s citation. “He is a great poet in the English-speaking tradition, and he is a wonderful sampler — a very original sampler,” Danius said at the time, explaining the decision to award a musician a prize that for more than a century has principally been doled out to novelists, poets and essayists. Bob Dylan speaks onstage at the MusiCares 2015 Person Of The Year Gala in Los Angeles. Dylan was awarded the Nobel Prize in literature in October, though he has not yet accepted it. The Swedish Academy has announced he plans to do so this weekend in Stockholm. It remains unclear whether this weekend’s meeting portends warmer embrace of the prize from Dylan, who has yet to fulfill his one requirement to receive the roughly $900,000 that comes with it: delivery of the Nobel lecture, a traditional talk on a topic of the laureate’s choosing. That requirement, set by the rules of the Nobel Foundation, must be satisfied by June 10 for Dylan to pick up the prize money. “Please note that no Nobel Lecture will be held. The Academy has reason to believe that a taped version will be sent at a later point,” Danius says in her post, noting that if he sends a taped lecture, he will not be the first. Alice Munro, the 2013 laureate, had to send a taped lecture because of health woes, as we reported then. Dylan did, however, write an acceptance speech for the December ceremony that was delivered by the U.S. ambassador to Sweden, Azita Raji.